A New Mexico woman was taken to a mental hospital after deputies say they found her husband's mummified body tucked away in her closet. 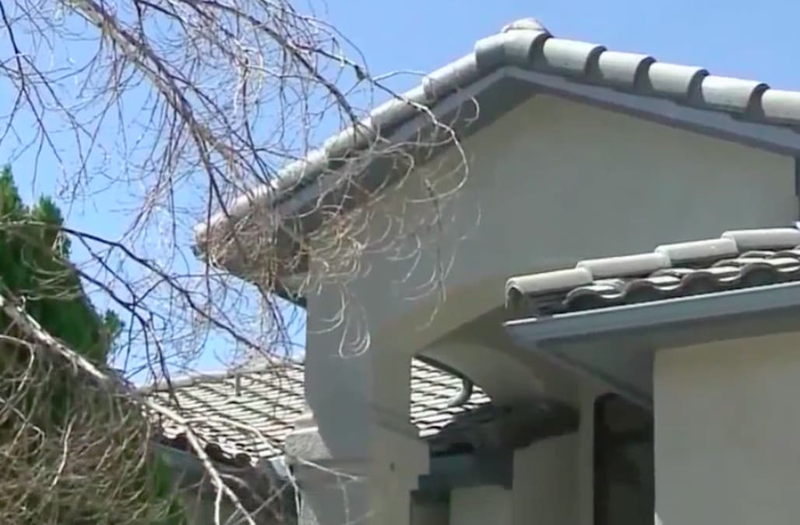 Bernalillo County police were serving an eviction at the woman's residence in May when they said they came across a strange smell, KOAT reports. Officers alerted the Albuquerque Police Department for backup to search the home, where they made a shocking discovery in the woman's walk-in closet -- her husband's dead body on a mattress. His body was reportedly tucked away under blankets while his head rested propped up on a pillow. Police reported seeing baking soda and air fresheners placed throughout the closet. The unnamed woman admitted her husband died more than two years prior in April 2015, but she had difficulty coping with his death. The pair's son, Thomas Huerta, told police he's still in disbelief of his mother's actions. Neighbors of the woman said they hadn't seen her husband around in a while, and when they asked about him, she replied that he was making preparations for the ministry, according to the police report. Deputies are still trying to determine the man's cause of death. As of now, the woman is being evaluated at a psychiatric hospital. It is uncertain whether or not she will face charges.